These heavy-duty rod seals with improved extrusion resistance at higher pressures and larger clearance gaps allow applications requiring low friction, and service at extreme temperatures. 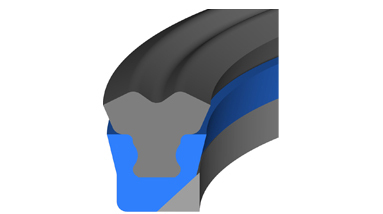 The elastomeric lip improves sealability and the anti-extrusion ring improves toughness. They’re commonly used with high pressure, mobile hydraulic applications; large extrusion gaps; and in high duty cycle and pressure spike applications. © RT Dygert. All rights reserved.